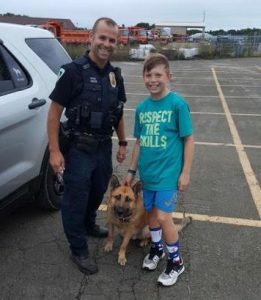 Liam Bates, a 9-year-old from Cottage Grove, has set out to make sure local law enforcement officers know they are appreciated, and he’s already touched a number of officers locally, including Officer Eric Disch and K9 Jagger. 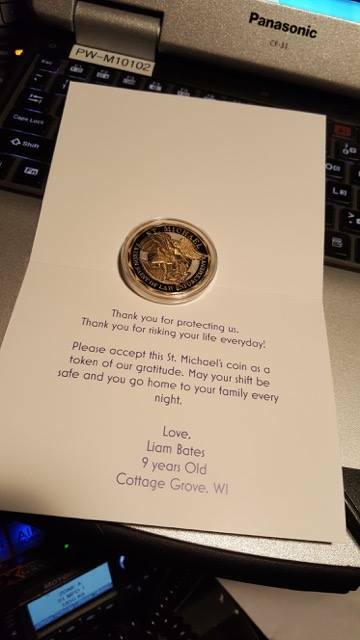 In his letter to officers, Liam includes a coin of St. Michael the Archangel, known as the patron saint of law enforcement. 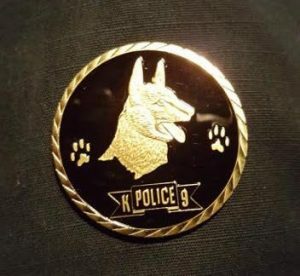 Liam recently requested another meeting with Officer Disch as he had another special surprise: A coin especially for K9 Jagger. Liam was excited to see Jagger again and give him a few pats on the head. Liam’s special journey was featured on NBC15, and he says he hopes to visit all 50 states thanking police officers for what they do. 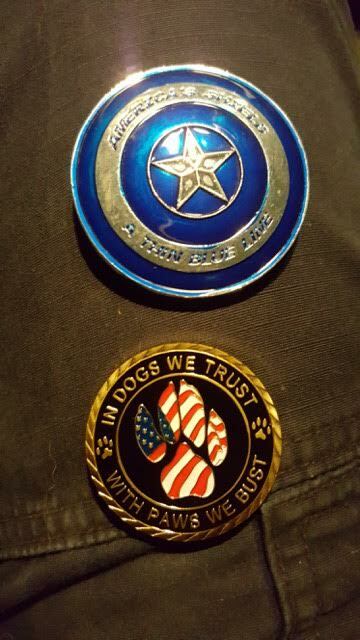 He hopes to become a K9 officer himself someday! You can follow Liam’s journey on his Facebook page.